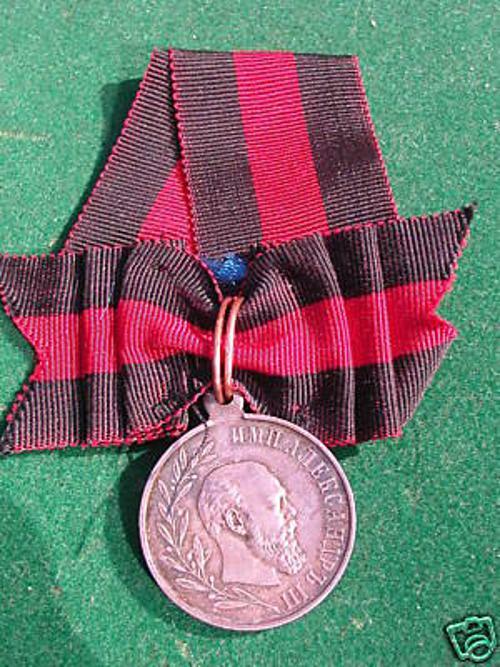 This medal commemorating the reign of Alexander III was instituted on March 17, 1896 by Nicholas II. 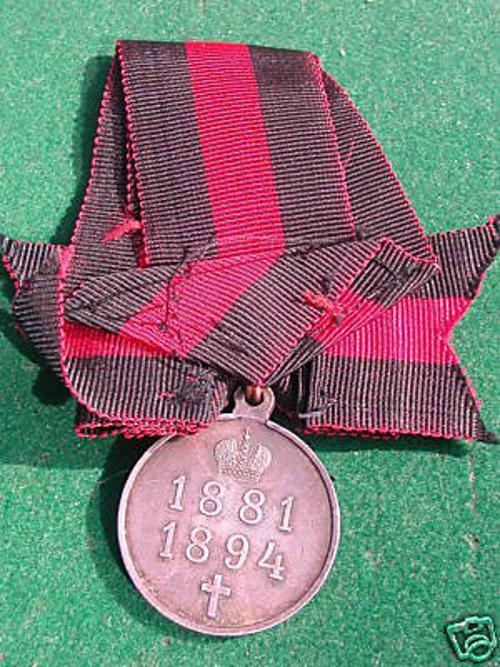 Silver Medal awarded to all generals, commisioned officers, Navy and Army, priests and classified officials who were on active duty during the reign of Alexander III. 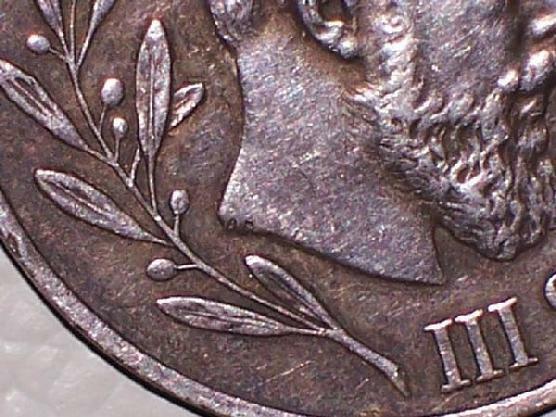 Obverse has the profile of Alexander III facing right. The left is a laurel branch, to the right is the Inscription, EMPEROR ALEXANDER III. The reverse has the dates 1881 and 1894 topped by the Imperial Crown.